Toro: I wonder what the fuss is about? 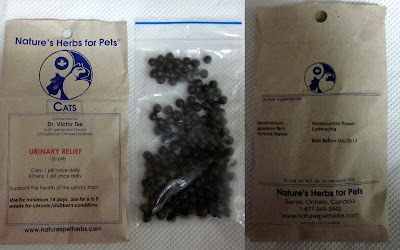 This is the Urinary Relief we got from Only Natural Pet. The pills are easy to give. Toro eats it without fussing. I give him 1 pill twice daily as this is the recommended dose and will continue for 8 weeks as his condition is a chronic one. It has Dendrobium, Japanese Fern, Pyrrosia leaves, Honeysuckle Flowers and Lysimachia. I am trying this as I am very concerned about the one 8.9 mm stone that he has in his right kidney. Please click on pic to read the indications. 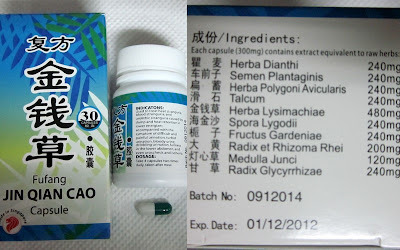 This is the capsules that I got from Chinatown. 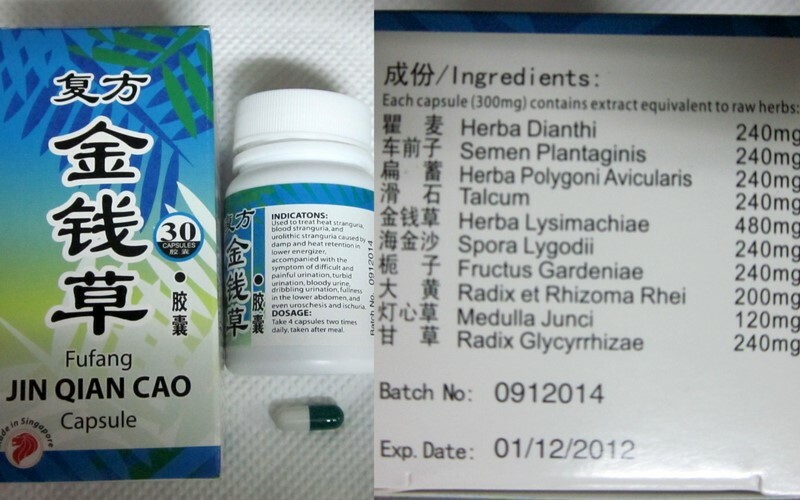 Its from China and the capsules are small enough for Toro to comfortably swallow. The indications are quite interesting. But as I said before I am rather hesitant about giving him anything from China as the vet felt that he is too young to even have kidney failure and stones. The vet suspected melamine poisoning from the pet food that I had given him- Nutro. Toro has taken the pills for two days already. I should put this on the sidebar so we can track it.